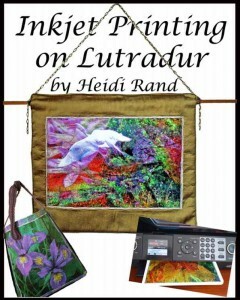 Learn to print your images and artwork on the exciting new art product, lutradur, using your inkjet printer. Lutradur, a spun web polyester material that combines the best qualities of fabric and paper, is ideal as a surface to print on with an inkjet printer. 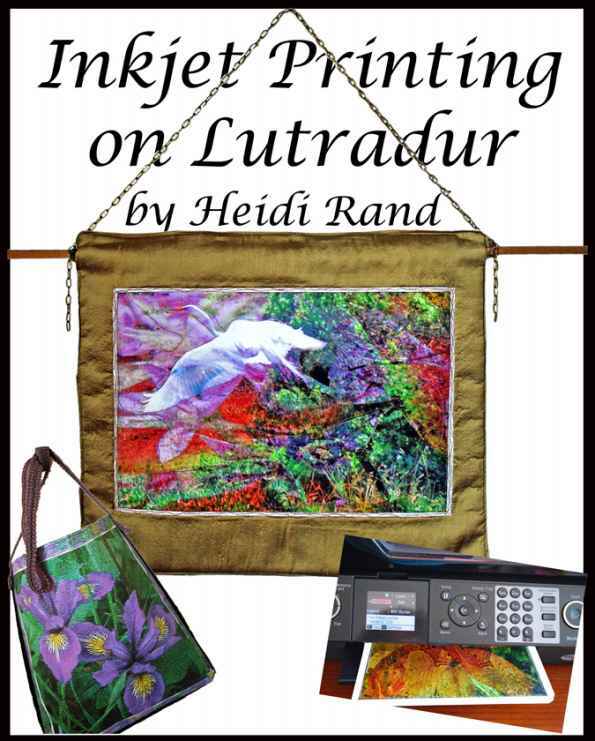 Knowing how to get great results printing on lutradur opens the door to endless possibilities for your arts and crafts, including art quilts and hangings, mixed media pieces, handmade books, jewelry, cards, and so much more. 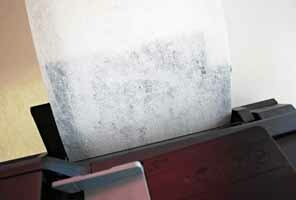 My illustrated guide takes you step-by-step through the entire process to print lutradur on your home inkjet printer. 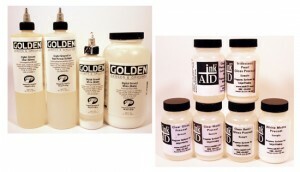 You will learn about the special properties and qualities of lutradur, what kind of ink is best to print with, the difference between printing on coated or uncoated lutradur, how to prepare the lutradur to print on it, best printer settings, getting the lutradur through your printer, post-printing treatments, and more. This is the only book that’s devoted entirely to inkjet printing on lutradur. These instructions, tips, and examples will save you many hours of time and much wasted ink and lutradur. I’ve also included a gallery of my original lutradur creations to spark your imagination and creativity. If you contact me, I can tell you how to figure out what kind of inks your printer uses, and I can also answer by email other personalized questions about your printer/ink setup, or other things that come up when you print on lutradur. This ebook is in the format of a PDF file, which you can open and print using Adobe Reader. If you don’t yet have Adobe Reader, you can download it at no charge by clicking on this link. If you are unable to open the PDF I can email it to you so you can open the document using Microsoft Word. 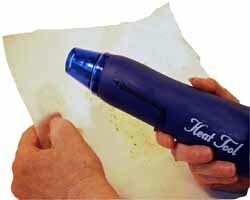 Skill level: If you know how to print on paper with your inkjet printer, you will be able to print on lutradur. 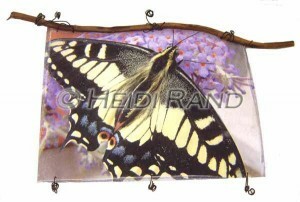 Purchase the ebook for $10.00 as a pdf download by clicking “Add to cart”.